The hustle and bustle of family visits, traveling, financial concerns and illness is enough to aggravate chronic conditions like high blood pressure. Some individuals might even forget to take important medication during these events, putting their health at risk. The Emporia Gazette suggested carving out time to relax or exercise. Taking the time to pause and breathe helps to reduce stress, refocus and keep blood pressure under control. People should also watch out for the side effects of decongestants, and ensure that they are keeping track of their medication use. 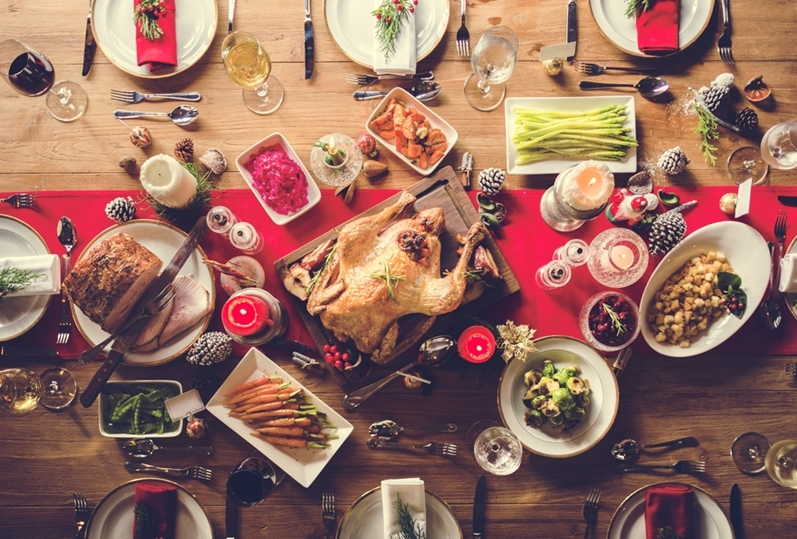 Holiday overindulgence can impact your health. Good food is a staple of any successful holiday gathering. Thanksgiving mainstays like turkey, mashed potatoes and gravy are enough to have you coming back for more. Before you grab another helping, though, it's important to know what overindulgence does to your health. People often gain weight due to eating choices during the holidays, and these extra pounds hurt your heart and brain health. Cadillac News suggested eating the things you like, but doing so in moderation. Taking the time to enjoy what you're eating and who you are with will also help limit overindulgence. "Be mindful of how much and how often you're drinking." Holiday gatherings are a great chance to break out the wine and champagne to enjoy. However, there's also the potential to drink more than usual. Drinking heavily can cause inflammation in the liver and disrupt your brain's communication pathways. Binge-drinking can also damage your heart and hit your immune system. That being said, you don't have to avoid alcohol entirely. Forbes suggested simply being mindful of how much and how often you're drinking. This will help you stay healthy while still socializing during the holidays. These days, radio stations, advertisers and retail shops start piping in Christmas music right after Halloween. While this can be enjoyable, too much of the carols can actually be bad for you. Clinical psychologist Linda Blair stated that playing Christmas music on repeat takes a toll on your mental health. It's a reminder of all the pressures that come with the season, like organizing celebration and buying presents. Taking the time to turn off the music will help improve focus and reduce stress. The holiday season can hit your health if you aren't careful. Enjoy the company, take in food and alcohol in moderation and take the time to relax and refocus your energy. Following these tips will help you enjoy the festivities while maintaining your wellbeing. As the holidays draw near, doctors should discuss these aspects with their patients to remain healthy well into the new year.